Could Blockchain facilitate the Mexican carbon market? As part of an effort to provide solid technical recommendations to support a robust and cost-effective Emissions Trading System (ETS) in Mexico, the project “Preparation of an Emissions Trading System in Mexico” (SiCEM) explored the use of Blockchain technology for an ETS Transaction Registry and other climate applications. In light of the upcoming pilot phase of the Mexican ETS, which is set to begin in 2020, the GIZ project “Preparation of an Emissions Trading System in Mexico” (SiCEM) has been conducting a series of activities which include the development of technical studies to inform decision-making with regards to the design of the Mexican ETS. The backbone of an ETS is its Registry, an online platform where ownership of emission allowances and offsets is precisely recorded, and all transactions take place under a set of market rules defined by the Authority. It is through the Registry that regulated entities demostrate compliance: they upload their verified emissions inventory and surrender the allowances to match these emissions. ETS Registries are traditionally developed as centralized databases. Such arrangement is fitting for the government to fulfill its role as the Authority. With the emergence of the disruptive, descentralized and trust-building Distributed Technology Ledger technologies such as Blockchain, Mexico is exploring an innovative way of ensuring transparency and environmental integrity. The pros and cons of this alternative are revealed in this study. A Blockchain is an immutable digital database that gradually builds up with blocks of data which cryptographically link together. Unlike conventional databases which are managed by a single authority, a Blockchain is managed by a network of distributed participants, each represented by a computer server. Servers authenticate record transactions according to a set of pre-defined rules, and a transaction will be accepted and recorded only if consensus is reached among the network majority. This automatic, transparent and distributed decision-making is trust-worthy and eliminates the need for intermediaries (e.g. a central authority approving or denying certain transactions), facilitating the direct exchange between e.g. buyers and sellers of a commodity. How can this be applied to the ETS registry? Verified GHG emissions, emissions allowances or offset credits can be tokenized, that is, be issued as a cryptographic unit which represents a ‘right’ to emit (emissions allowance or offset credit) or an ‘obligation’ (verified emissions). Using smart contracts –another Blockchain feature– every ETS rule shall be automatically enforced and tokens could be transacted amongst participants. Compliance would be achieved when ‘obligation’ tokens are equivalent to ‘right’ tokens in a certain wallet (user account). Using different layers, the system can be used to perform other functions such as banking, borrowing, or even, allowance auctioning. GIZ SiCEM, 2019. 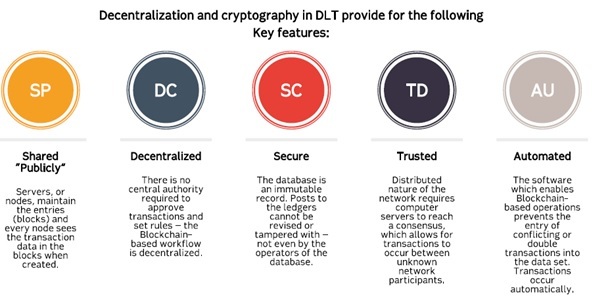 Key features of Distributed Ledger Technology. For a merely domestic (i.e. Mexican) ETS, a blockchain-based registry wouldn’t offer exceptional advantages over a conventional centralized database; oversight by the central regulator provides enough trustworthiness and immutability to the data records. However, in a world where emissions units will increasingly leave domestic territory and be transacted across jurisdictions and systems with different authorities (e.g. linking of ETS, transfer of ITMOs under Article 6 of the Paris Agreement, offset exchange with international aviation’s CORSIA), a trustworthy, immutable, decentralized Blockchain-based system would support increased interoperability and avoid double-counting of emissions reductions or allowances. Alternatively, hybrid approaches could be envisaged to incorporate the best from both a decentralized blockchain and a centralized system. Blockchain could additionally support other moments of the ETS compliance cycle, such as lowering administrative transaction costs for smaller entities, increasing the scope of the ETS. 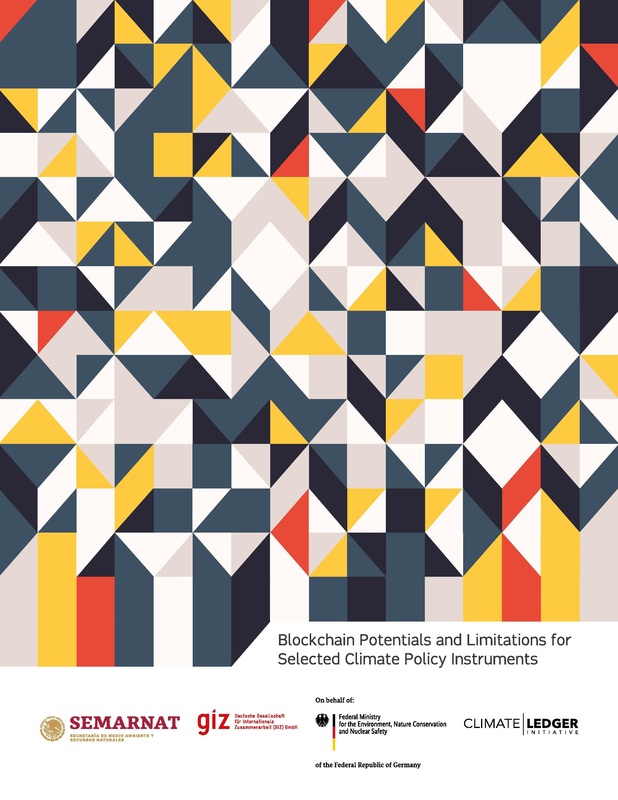 Beyond the ETS application, the study explores its potential for improving emissions and finance Monitoring, Reporting and Verification (MRV) frameworks. Laying in the possibility for tokenization of climate outcomes, and linking finance flows directly to verified emission reductions. The upcoming pilot phase provides with an opportunity to test the Mexican ETS registry infrastructure, be it Blockchain-based or built on conventional centralized database technology. Additional studies covering a variety of technical issues be published in the “IKI-Alliance Mexico” blog in the coming months.